Remember Biscoff? Course you do. But did you know the caramel biscuity delicacy has transcended into its own ice-cream? Yep, you can either gets your hands on tubs of the stuff or alternatively, if you fancy walking around in the sun, on a stick. Unfortunately, as we speak it is not currently available in the UK but you have order a tub of it for £4.24 from this Belgian supermarket, should your cravings hold out that long. Beat condensed milk with Lotus Biscoff Cookie Butter in a bowl. Add the chopped cookies and mix well. Whip the heavy cream into a stable whipped cream. Gradually fold the whipped cream into the sweetened milk mixture until you get a smooth texture and pour it into a container suitable for freezing. Freeze for at least 4 hours and preferably overnight. Before serving, make balls using an ice cream scoop or a regular tablespoon and serve. You can store for up to a week in a sealed container in the freezer. @necozalenky_life you have read our mind ? this is just what we need on a Tuesday afternoon! ☕️?? 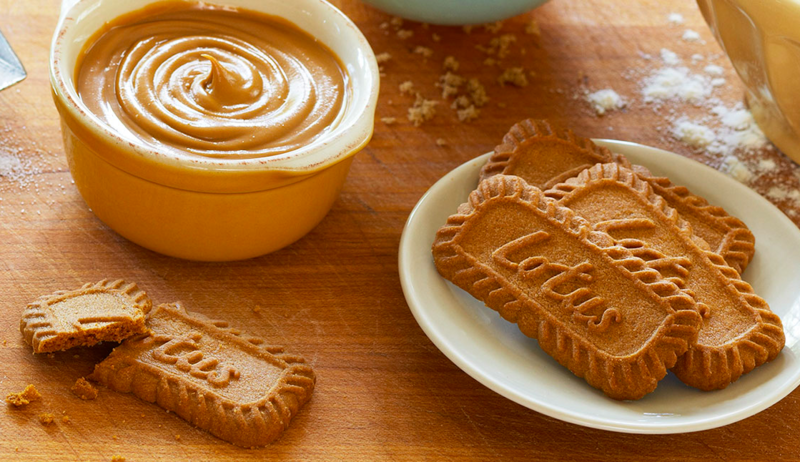 Lotus Biscoff Cookies, known as Lotus Speculoos in Europe, were originally baked in the small Belgian town of Lembeke, the same location where its founders, the Boone brothers, opened their first bakery in 1932. After the cookies were packaged, the Boones would bez around town in their truck to deliver their prized treats door to door. The unique recipe, which uses only the highest-quality ingredients, remains the same more than eight decades later.